Ireland, New Zealand, and Switzerland are added to growing list of global markets offering direct relationships for Control4 Authorized Dealers. 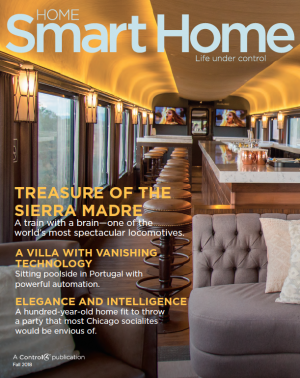 Amsterdam, NL – Integrated Systems Europe 2019 Stand 10-N130 – February 5, 2019 9:00 a.m. CET/ 3:00 a.m. EST – As part of the continued investment in worldwide smart home growth, Control4 Corporation (NASDAQ: CTRL), a leading global provider of smart home solutions, today announces an expansion into New Zealand, Switzerland, Ireland (and the Northern Ireland region of the United Kingdom), augmenting the company’s current local presence by working directly with home automation integrators in these fast-growing markets. "We are confident in and excited about expanding the business landscape in these key regions,” stated Martin Plaehn, Control4 Chairman and Chief Executive Officer. "We believe our direct presence will provide expert support for local Control4 Dealers and yield faster new customer adoption and better end-consumer satisfaction." Specific to Switzerland, the expansion is further bolstered by Control4’s announcement of the acquisition of NEEO, the company behind the industry-acclaimed NEEO Remote. The NEEO team, located in Bern, along with Control4’s existing Belgrade, Serbia location, further expands the engineering and development footprint for Control4 in Europe. This overall expansion comes in response to the strong growth potential and increasing inquiries from independent integration professionals requesting to become Control4® Authorized Dealers in these countries. A very large, mobile-savvy and internet-connected population further enhances the Control4 Smart Home opportunity in these areas. Now, local integrators who become Control4 Authorized Dealers in any of the three regions are able to order products online directly from Control4 and, in most instances, receive delivery within a week of their order. Dealers also have access to extensive libraries of product training materials, marketing collateral and tools, as well as technical support from Control4. After making a similar change to the dealer-direct model in the United Kingdom in 2011, China in 2013, Germany in 2015, and Australia in 2017, Control4 has facilitated and supported a growing number of authorized independent integrators, resulting in growth for both the average dealer and Control4 each year since. For information on becoming a Control4 Authorized Dealer, visit https://www.control4.com/for/dealers. For those interested in career opportunities with Control4 at any of its locations worldwide, visit: https://www.control4.com/company/careers. Control4 [NASDAQ: CTRL] is a leading global provider of automation and networking systems for homes and businesses, offering personalized control of lighting, music, video, comfort, security, communications, and more into a unified smart home system that enhances the daily lives of its consumers. Control4 unlocks the potential of connected devices, making networks more robust, entertainment systems easier to use, homes more comfortable and energy efficient, and provides families more peace of mind. Today, every home and business needs automation horsepower and a high-performance network to manage the increasing number of connected devices. The Control4 platform interoperates with more than 13,000 third-party consumer electronics products, ensuring an ever-expanding ecosystem of devices will work together. Control4 is now available in over 100 countries. Leveraging a professional channel that includes over 5,800 custom integrators, retailers, and distributors authorized to sell Control4 products, Pakedge networking solutions and Triad speakers, Control4 is delivering intelligent solutions for consumers, major consumer electronics companies, hotels, and businesses around the world.